Honda Cars Philippines is joining one of the biggest fun runs in the country. 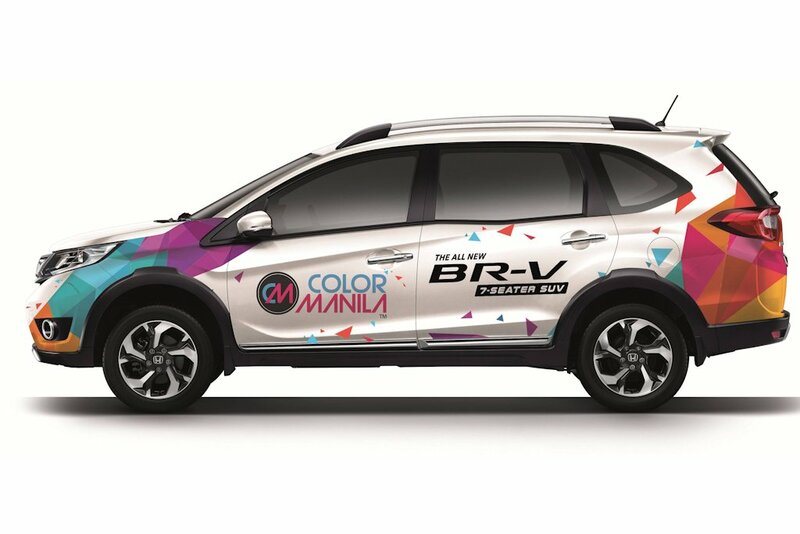 A specially-decked out BR-V shows the carmaker’s support for the upcoming Color Manila Run happening on January 8, 2017 at the SM Mall of Asia Grounds. And to help you with your New Year’s Resolution to lose the holiday weight, Honda is giving away complimentary race kits via an online contest. To join the contest, customers should spot the Color Manila ride, take a selfie with the vehicle, post it on their personal Facebook and/or Instagram account, and tag Color Manila Run (ColorManilaRun) and Honda Cars Philippines, Inc. (Facebook: HondaPhil, Instagram: HondaCarsPHL). All entries should include the hashtags: #ILoveColorManila #CMR5 #HondaBRV #RiseAboveYourLimits, for it to be considered as an official entry. Only entries posted from today to January 13, 2017 will be honored to be part of this competition. Catch the special Honda BR-V x Color Manila Ride as it goes around various areas, namely: Nuvali, Laguna; Bonifacio Global City, Taguig; Alabang, Muntinlupa; Makati City; and Quezon City from today to January 13, 2017. Noticing the fine print, not all entries will actually be part of the Color Run Manila fun run. The contest will have two waves to increase the participant’s chances of winning. The first wave will be open to all participants who wish to win be part of the most colorful run in the country on January 8, 2017. There will be two winners of two (2) complimentary Color Manila Run race packs valid for Color Manila Run Year 5. Winners of the first wave will be drawn on January 4, 2017 and may claim their prize at any Honda dealership near them or at the Honda booth in Color Manila Run Year 5. The second wave will be open to all Color Manila Run registrants only. There will be five (5) winners for the second wave, which will be drawn on January 13, 2017. Exciting prizes from Color Manila await the second wave winners. The Color Manila Run Year 5 (CR5) will be held on January 8, 2017 at the SM MOA Grounds, Pasay City. The All-New BR-V will also be on display at the Color Manila Run Year 5.